According to Italian newspaper Il Giornale, the Italian secret services, referred to by the publication as “our 007”, are warning of the possibility of people-smugglers purposely causing a disaster at sea in order to garner sympathy from the West and resume their illegal trade, which has been declining over the last year. 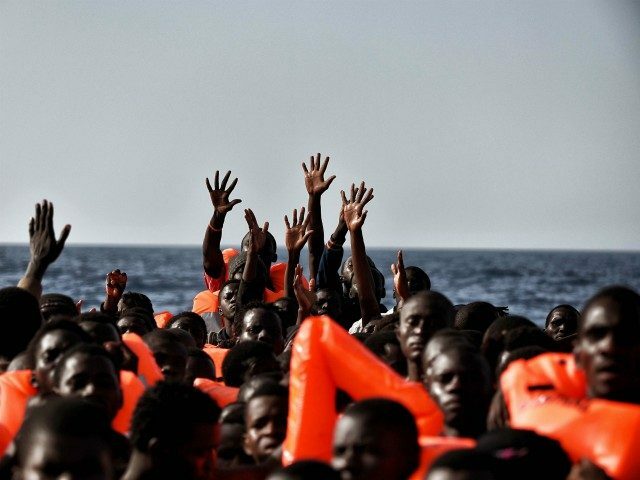 Such a move could be a repeat of other major humanitarian disasters such as a shipwreck which killed around 700 migrants on April 18th, 2015, and led to the commencement of Operation Sophia and an outpouring of support for migrant ferry NGOs operating in the Mediterranean Sea. According to some of the few migrants who survived the incident, people-smugglers had forced the migrants to set sail knowing full well that the weather had been gale force winds, leading some to speculate the disaster was sought or even caused on purpose by the smugglers. The ship eventually sank, killing most of the migrants on board after colliding with the Portuguese container ship, King Jacob. The Italian publication has also revealed inconsistencies in recent days from the ‘Alarm Phone’ organisation, which acts as a hotline for ships in distress in the Mediterranean, saying the NGO claimed a ship had been taking in water when other evidence proved it had not been in danger of sinking. It was also alleged that the man steering the ship, which was rescued on Sunday, has been a suspected people-smuggler, but the NGO denied having any contact or co-operation with people traffickers. The accusation is not the first time migrant-rescue NGOs have been said to be working with people smugglers. Italian prosecutors have alleged cooperation between the two groups as well and in one case even released evidence to the public.